You must end the fear of not making enough money in order to make the leap to being your own boss. 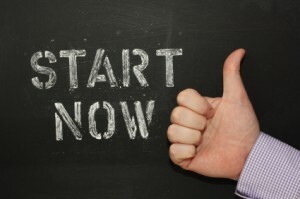 Fearfully they wait for the right time to start their business and that time never comes. If you have delayed going out on your own because you fear that you won’t earn enough money, I’ve written this free self-coaching guide, Choosing Your Ideal Business: How to Decide with Confidence & Eliminate Fears about Making Enough Money, just for you. You don’t need to hit bottom like I did, although it is one hell of a motivator. If you trust me like you’re paying me – this guidance will change your life. Every potential client who wants to operate their own business is faced with needing to end the fear of not making enough money. It’s the number one obstacle that stops folks from choosing the freedom of being their own boss. Yet after only being coached for 1-2 weeks, 80% of my new clients report having absolutely no fear after completing the agreements of only one coaching session. Over 16 years I’ve refined my new business startup coaching into a powerful process. I’m very good at what I do and I only work with clients who are committed to creating a remarkable outcome in 90 days. 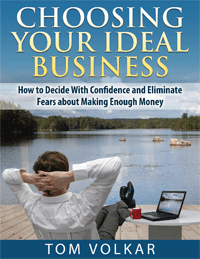 Contained within this eBook, Choosing Your Ideal Business: How to Decide with Confidence & Eliminate Fears about Making Enough Money, is a greater arsenal of fear clearing tools, than my paying clients use. You can download it for free here. You can use the same guidance that my clients use to choose their ideal business and end the fear of not making enough money by following this powerful three pronged approach. Real time fear-clearing, with no avoidance, is essential to becoming financially fearless but it’s only one of three essentails to being ready to start your on business. You must also end the second biggest fear that causes you to delay starting your own business. The second biggest fear for individuals, who want to be their own boss, is the fear of not knowing what business to start. You want to know what business will bring you optimum fulfillment and prosperity. Perhaps you’ve chosen and failed before and you want to get it “right” this time. Or maybe you have so many interests that you can’t imagine boiling it down to one business, let alone knowing how to do that. During live, one-on-one coaching, my clients and I work on enhanced self-awareness and identifying the most aligned business for each individual, while clearing every limiting belief and fear that comes up, as it comes up. Remove any one of these essential compnents and your transformation to fearlessness and new found confidence will slow or not happen at all. I have done my very best to include all 9 components in this self-coaching guide for you. You are getting the same top notch, proven tools and methods that my paying clients use. It is my intention that you use this guide to become financially fearless so that you can start and succeed in the ideal business for you. Download this powerful free resource now and you could end the fear of not making enough money in 17 days. If you want to start your business even sooner, apply for a no-obligation, Confidently Make the Leap, strategy session here. Recently a potential client asked me this brilliant question about getting paid for being yourself. How do I find the confluence of my heart’s desire and my best value that others will gladly pay me for? 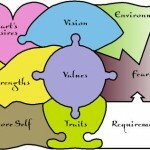 Step One – Identify and validate your heart’s desire. Your true heart’s desire is what makes you come alive in the doing of it. A calling that is so aligned with your very being that it makes your heart sing with joy and fulfillment. To verify and validate that high level of alignment you must first identify all of the essential components to right livelihood. You are a complex combination not only of desires but also of strengths, values,personality traits, preferred environments, beliefs, spirituality, vision, fears and transition requirements. Once you increase your self-awareness to the extent that you are crystal clear on all of these components then and only then are you equipped to begin looking at the highest and best business value that others will be glad to pay you for. Step Two – Be willing to be all of who you are. Going half way won’t work. Only a complete embrace of your wild and precious self will allow you to express as the glorious being you are. Willingness to be boldly and only who you are is the bridge between authentic desires and client value. This state of being is the willingness to be vulnerably who you are and nothing more than who you are. That means you must cease all conformity and mimicry to reach this highly self-actualized state. Mimicry and conformity usually show up as fears. Those “not enough” feelings don’t come from your core nature but from you trying to be what you are not. Often the fears need to first be cleared first before your authentic vision can be realized. You can clear your fears by writing them down and asking this big question to test their validity. Is this absolutely true of me? If it isn’t declare that you are letting it go now. Step Three – Earning the right to be paid very well. As you can see from the previous two steps this is an inside out process. It won’t work from the outside in. But assuming you have completed the first two steps what remains is this essential last step to creating value and receiving compensation. 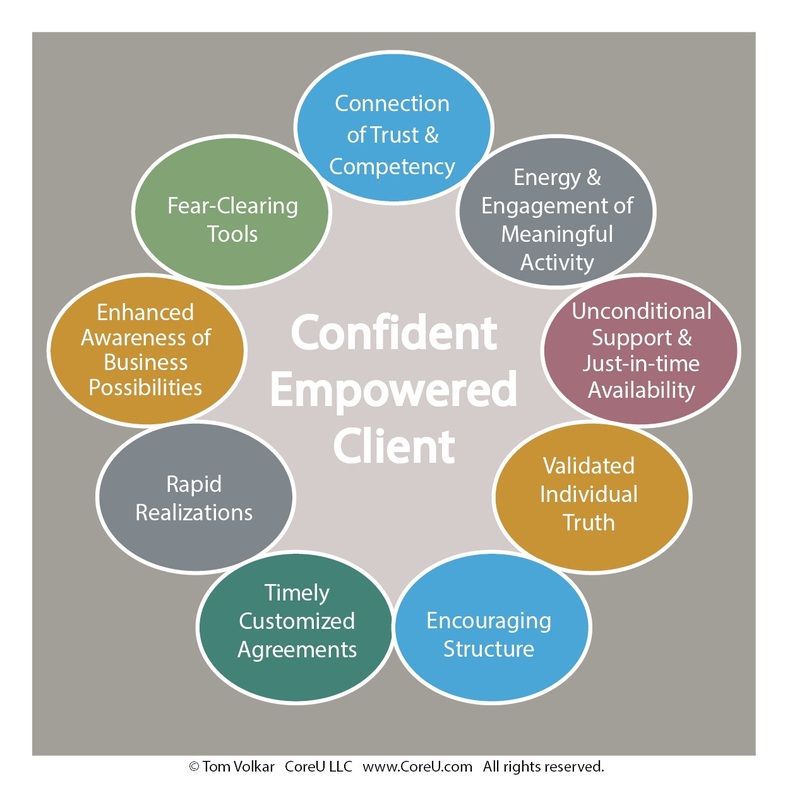 Your willingness to be vulnerable already has potential clients trusting you. Now you must be crystal clear that you really get who they are and what they are dealing with. Your product or service must be seen by them as the solution to the challenge they are facing. You’ve got to show clients that you understand them so well that they can readily see that you are what they have been looking for. If you are ready to begin your own journey towards being paid well for who you are go here to request a no obligation consultation. Really, what if there is no right life purpose answer to find? The traditional reality in which we all live is greatly influenced by educational and business opinions that insist there is one right answer to be found. This wastes years of searching because if it’s not there you won’t find it. When you come to a conclusion that there is one right answer to big questions like life purpose then a few things happen. You might expect a heavenly revelation to hit you like a ton of bricks. But what if hints to your calling come more like subtle whispers on the wind? What if you never experience the big bang of insight? Will you just go one searching forever frustrated by a lack of life purpose? Believing that you have one, big, sacred life purpose can cause you to fear that you aren’t strong enough or smart enough to succeed in such a big way. So you may wait until you think you might be more ready. The waiting kills your momentum and it kills your awareness of other possibilities. One big life purpose can seem so final and exact. But what if you experience an earth shattering event that changes the way you see everything? 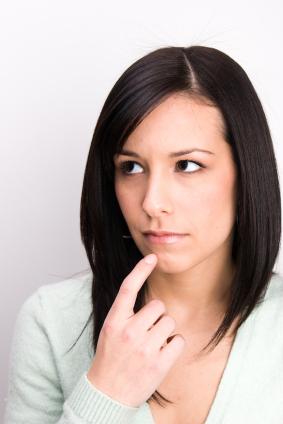 Should you stubbornly try to make sense of your life purpose within the context of that event? I don’t think so. Each of us has a special capacity to contribute multiple unique gifts to humanity. As your life experience changes and expands so does your capacity to contribute from that special perspective.The Blessing of Unique Contribution promises that you are uniquely equipped with the capacity to discover original ideas that are your special contribution to humanity. It also promises that you can bring these ideas forth and monetize them as your true calling based business. Why else would an intelligent Creator bless each of us so uniquely? What if you’ve already searched enough? What if you’ve already come across and overlooked many business ideas that that could each be a special part of your contribution? In my coaching experience of 16 years hundreds of clients already are very close to what their contribution actually is. What if it’s the same for you? Do yourself a favor and get started today. Answer these questions and get moving. Humanity needs the lift of your special contribution. What are the top three ideas I’ve always wondered about? 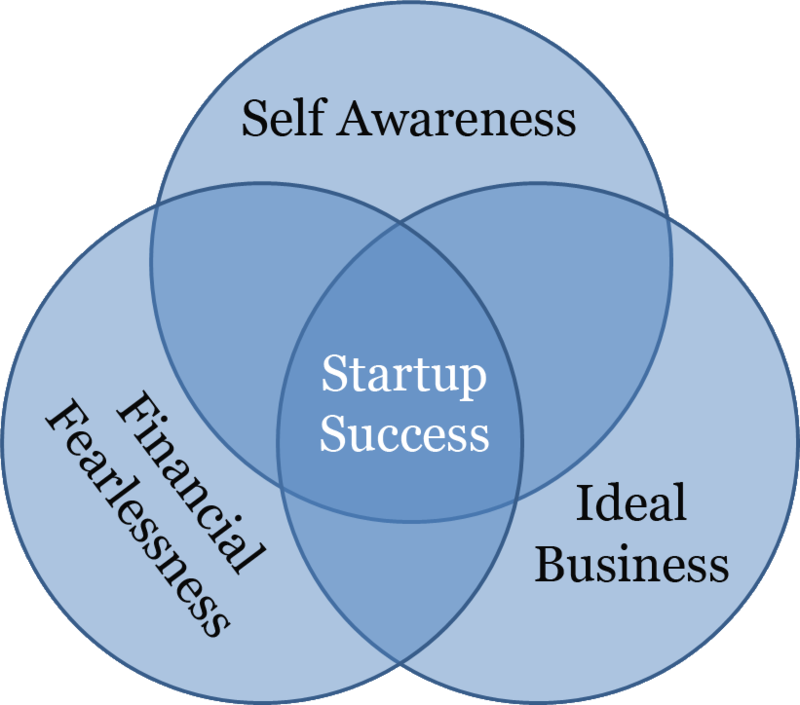 Of these three which makes me feel most expansive when I consider operating it as a business? What is one step I can take today to bring it to life? Want a little boost that will really get you moving. Request a free strategy session now! Self-Awareness starts by identifying nine authentic career elements that essentially make up who you are. Once these are known then you have a decision-making foundation from which to choose business possibilities and actions that are in close alignment with your core self. There’s a special business that you can start and develop, in your way that will light you up and once you increase your self-awareness you’ll more clearly see it. This is the work that you were especially meant to do. And it could very well be that you can’t see it from your present perspective. Cognitive scientists have determined that our minds can only solve puzzles by searching in our past experiences. Give yourself some credit. If you knew what to do – you would have already done it. Discovering, creating and developing the business that only you can do in the way that only you can do it requires an increased self-awareness to see possibilities that you can’t now see. Once you reach that level of self-awareness no concerns remain. You’ll launch that business. Boredom and confusion will be a thing of the past because you will get very clear on your natural eagerness. That eagerness will shine a spotlight on new insights and choices that will payoff in the eight business results below. Once you know yourself greater you will be more aware while developing your business. Business success comes more readily by making the most optimum choice in every situation. When you know who you are it’s infinitely easier to see how aligned specific choices are with your individuality. Alignment brings clarity which lessens confusion and self-doubt. Confidence is a special state of being that isn’t easily generated without some depth behind it. Depth comes from either experience or thorough preparation. When you take the time to really get to know yourself then confidence is earned by the depth of practice and the thoroughness of self-discovery. When you know who you are you create the space to honor yourself by becoming more purposefully driven. You say no thank you to invitations and distractions that don’t lineup with your priorities and most meaningful work. That creates more space which frees up the available time you have to play. It’s real hard to get where you want to be when you don’t know where that is. Once you know who you are – you’ll know what you want. Choices become so much clearer because you can feel them as either expansive or deadening to your being. Then you just tune into your feelings and sensations and choose the choices that bring you alive. Soon you’ll imagine a vision that lights you up just thinking about it. It’s hard for the universe to have your back when you keep showing up within environments that do none of the work for you. 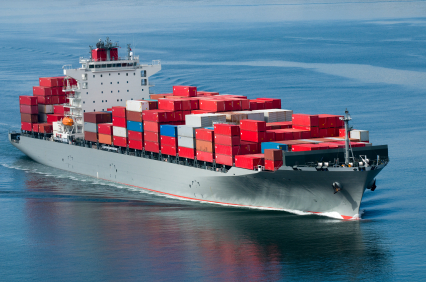 In the supportive environments you are in the flow of life cruising downstream. In resistive, non-supportive environments you’re guard is always up in defense or caution. This leaves little energy and awareness for creativity and joy. Once you get in sync with your place in the natural order you’ll allow your environments to support and stimulate you by choosing on those that do. For more on environments grab my free eBook, 9 Compass Points of Core Calling. You become more grounded and peaceful. Because you regularly connect with your inner wisdom there is nothing to stress out about. Stress is created when you want to be somewhere else and don’t know how to get there. When you know who you are you’ll see choices to put you on the path to where you want to be. Knowing who you are allows you to tap your purest vein of inspiration so you don’t have to use will power, discipline and self-control to get things done. Inspiration is the only natural effective antidote to resistance. Go ahead and keep sucking it up if that turns you on but if you’re ready to get more done, more naturally then really get to know yourself better. Once you know and acknowledge who you are you’ll become dedicated to a set of personal business standards. Choosing projects and partners becomes a breeze because you know the bottom line that you will not cross. Whether you’re changing a job, starting your own business or getting involved in a new opportunity the clarity of your non-negotiable requirements will cause you to only seek your own wise counsel. These requirements guide your decision-making with assuredness that becomes increasingly evident. These eight business results of increased self-awareness allow you to see many more choices in every aspect of your business. This journey begins by getting very clear with your coach as you identify each of the nine authentic career elements in the graphic to the right. Once you know yourself that well you can select business actions and opportunities that are in alignment with who you are. What if business success didn’t have to be difficult? You can contact me here to take the first step in your self-awareness journey. You were created uniquely so that you could joyfully pursue what you were meant to do. All other pursuits, of livelihood are too small for you. 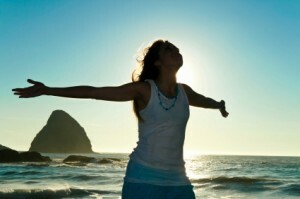 If you really want more joy, ease and glory in your work – then follow these 10 ways to freedom and fulfillment. 1. 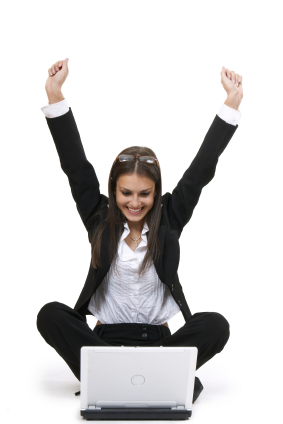 Know that self-employment or business ownership allows the freedom and flexibility to be the totality of you. 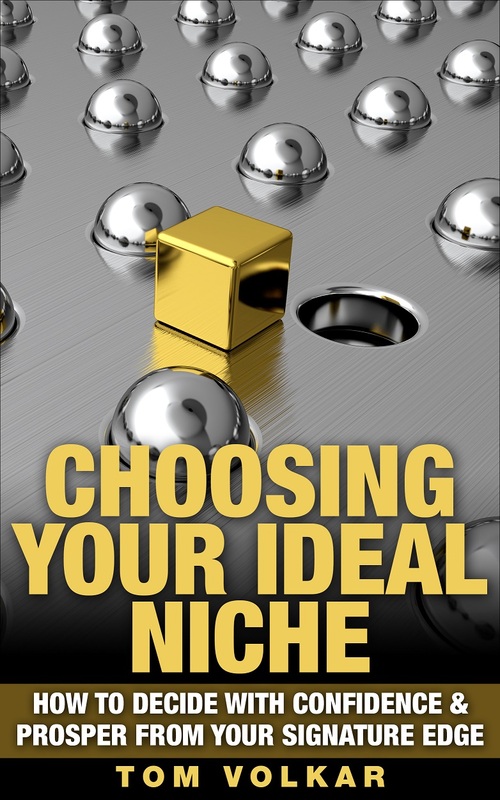 You have a much higher probability of successfully developing a business that is aligned with who you are, then by working a job created by another. 2. Increase your presence within supportive and encouraging environments where the prevailing cultural memes inspire and boost individuality. 3. Seek guidance deep within the core wisdom of your own being. No one knows better than you what’s best for you. 4. Make decisions primarily not based right or wrong as deemed by others but on what works well for you. 5. Check in with your own energy and only take actions that feel expansive and uplifting. 6. Vulnerably open your heart and connect with fellow journeyers who are also looking to realize the work that lights them up. 7. Inquire into possibilities beyond what you can now see so you are not creating your future based on your past. 8. Recognize and act on the basis that what you think is in your way is only an illusion you created from judgment. 9. Let go of unnatural restraints of comparison, conformity, justifications, avoidance, self-doubt and judgment; they are limiting you to what they define. 10. 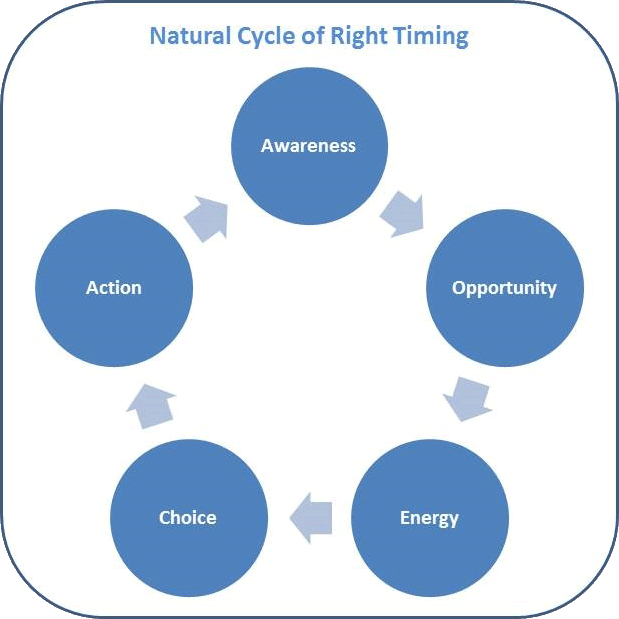 Identify your natural points of eagerness. Eagerness leads to willingness which is essential to follow-through and completion. 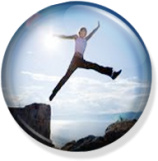 Get started today a with a complimentary Confidently Make the Leap strategy session. Only you can be all of who you are. Only you discover, create and develop the ideal business for you. 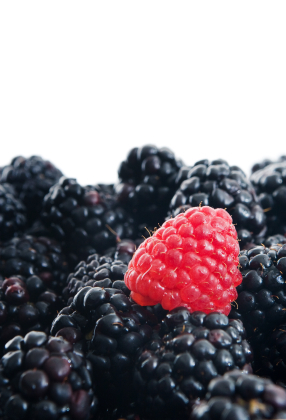 Only you can decide to fully accept your unique blessings by bringing them to market. Only you can love and honor yourself enough to risk being the distinct individual that you are. Only you can pursue the activities that truly light you up. Only you can choose to stand up against the tides of conformity and the agendas of others. Only you can choose to create the unique contribution that you came here to create. Only you can pursue your creative happiness until you come fully alive. What would it be like for you to be admired and prosperously compensated for doing the thing that only you can do? I can’t do it for you but it is my honor and gift to guide you. If you’d like to explore this further start here. Our country’s forefathers claimed our independence from oppression by declaring our rights to Life, Liberty and the pursuit of Happiness. When it comes to work, we exercise these rights by engaging in activities that bring us alive and inspire us to joyfully be who we are. So why settle for less? If you’re working for someone else and feel miserable about it, what has stopped you from pursuing the happiness of working your own big self-employment ideas? Self-employment is the most direct route to uniquely expressing what you’ve been put on this earth to do. Bold self-expression, aligned with your core values, represents your best shot at fulfillment and happiness. Many of us faultily look to a job or a relationship to make us feel complete. But wholeness can’t be found by looking to another, and it most certainly isn’t found by being miserably employed. Yes, some of us find contentment and fulfillment working for someone else, but what if you’re the type of person whose greatness can only be unleashed through the boldness of bringing about the self-employment idea that only you can? What if you knew beyond any doubt that you have what it takes to succeed with your own big ideas, in your own way? If you knew these things to be absolute, what changes might you make today? Admit it, the freedom of being your own boss has always intrigued you. Deep within, you know that you have what it takes; you’re creative and big ideas come easily to you. So what stops you from starting an ideal business or growing your existing business into the profitable and fulfilling enterprise you’ve dreamed of? I’m going to help you answer the above questions but what will you do with these answers? By the end of this article, if you understand more clearly what stops you, are you willing to take action so it stops you no more? As a life and business coach, I work with clients who want to align their innermost values and desires with their outer actions. Yet information alone doesn’t guarantee success. How many times have you known what to do and still not done it? The following suggestions will guide you a little closer toward your optimum path. Together we’ll go within, yank out the root of what’s holding you back then build a solid foundation for sustainable, authentic growth. The basis of most everything that stops us can be found in not trusting our intuition, which causes us to search for answers outside ourselves. Not trusting your intuition deters you from completing big self-employment ideas that are given to you directly by… of course, your inner voice. Looking for truth on the outside leads you to care too much about what others think of you, and possibly accepting their personally disparaging opinions of your ideas as gospel. We all doubt ourselves. Yet fresh ideas come from straight from God’s heart to ours. Your recognition of an inspired idea not only means that it was meant only for you but that it’s already on its way into being. So not only can you do it, but the fact that you even see the idea proves that you’re already in the midst of manifesting it. My friend, your happiness is a choice. It’s calling out to you and your first step in is to stop doing what stops you from claiming it. See if you can find your favorite excuse below. “I’m waiting for the right time to make my move.” Yes, timing is relevant, but more so than not, waiting amounts to nothing more than putting your life on hold. The fact that you’ve read this far is confirmation that your time is now. Really, what are you waiting for? Trust your inner voice; then whatever you’re telling yourself won’t carry as much weight. “What if I make a mistake and fail?” There’s no “what if” about it. You will make mistakes and even fail along the way, perhaps repeatedly. Stumbling and rising again is natural; fearing failure is pathological. If it’s going to happen regardless, why not get on with it? “I love what I do, I just don’t love marketing.” Actually, this excuse has nothing to do with marketing and everything to do with a hesitance to boldly self-express. Are you sure you’re not compromising by holding back and going for a second-place dream? The only way you’ll be able to naturally and shamelessly flaunt yourself is to live a first-place dream-then others’ reactions won’t affect you. “I’m just not sure I have what it takes.” You are enough, my friend, more than enough. That’s not you talking; it’s just your conditioning. You aren’t your past and you surely aren’t the twisted opinion of anyone else. If you allow the opinion of another to dictate your choices then whose life are you really living? Now that you know what justifications you’ve using on yourself, let’s chuck them and rebuild a structure for sustainable support, working from the inside out. 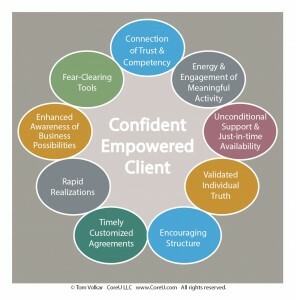 Here are five powerful concepts that work for my clients. 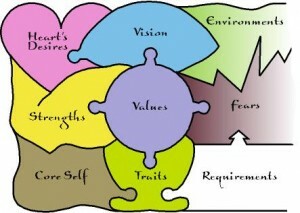 Find a way to joyfully employ all five and your stated intentions will no longer conflict with your inner voice. Expand your awarenss of what’s possible by asking really big questions. When we live with big questions and don’t rush into answer them right away we become conscious of big ideas. Ask these: What is the thing only I can do? What was I meant to do? What if by fully being me I can step into might greatness? What might happen then? Feel your feelings fully-all of them. When we ignore our intuition, we resist feeling emotions that arise when someone is upset with us for choosing our own rightful path. As social beings, we always want to please; thus we avoid genuine feelings so as to avoid upsetting others. It doesn’t work. What does work well is to just be with all your feelings as they come up. Embrace boldness! Don’t hold back. The marketplace rewards confident, authentic boldness in every business function. If you aren’t on the edge of your comfort zone, you aren’t in a position to thrive. Support can be manufactured. Since we are products of our environments, we can systematically create ones that stimulate our progress. Following through to completion with our best intentions is a challenge for most of us. Why not create environments that naturally pull us to accomplishment? Engage in massive joyful action. Cause and effect is not a sure thing. Many of our actions produce desired results but often we can’t foretell which ones will work. Joyfully engaging many different methods and directions increases your probability of success. Freedom is one of the truths that our forefathers found to be self-evident, yet some of you are still miserably working for someone else and cheating yourself out of the happiness of pursuing what you’re really meant to do. There is no ‘on hold’ in our Declaration of Independence or Bill of Rights. It is your unalienable right to express yourself through the freedom of seizing your own self-employment ideas, and your time to do so is now. I’m inspired to get you there much sooner than you think is possible. Request a Confidently Make the Leap free strategy session here. Do a Google search for best business startup advice and you will find it chock full of advice like: write a business plan, hire a good attorney and accountant, be sure you choose the right tax entity for your business and build a strong social network. All of the above is stuff that you might need to take care of eventually but it’s the wrong business startup advice for the prospective entrepreneur who wants to start strong and last long. When I was developing my first business six years before I became a business coach, I went the traditional route and it consisted of a lot of jumping through hoops held out by bankers, lawyers and accountants who were often afraid to take the entrepreneurial risk themselves. 1. Take a good hard look at the specific fears that are stopping you from making your move. They aren’t real. You’re more ready to start a business than you think you are because what you think is stopping you is a much smaller obstacle than you think it is. They usually boil down to being overly concerned with the opinion of others and with losing security that no employee really has anyway. The only certain security is created by calling your own shots while enjoying the freedom of building your own business. I offer a free Confidently Make the Leap strategy session to get really clear on your stopping blocks. 2. The marketplace rewards rare, authentic expression, so do not compromise. Instead follow your unique core makeup by starting a business that is developed in the way that only you can. Success and fulfillment comes sooner and more easily by creating a new business that is ideal for you, more so than it could ever come by copying a business created by another. The ideal business for you is an aligned match to your personal authentic makeup. Without that alignment, to succeed, you will unnecessarily have to use willpower instead of the easier path of eagerness and inspiration. 3. It’s not enough just to start a business doing what you love; you must also give your clients what they need by offering it in the way they want it. This requires personal research talking to those whom you want to serve. When your offer enters the conversation already going on in the mind of your ideal client then she knows that you care and understand her situation. That’s why it’s imperative to understand your distinct edge in the marketplace. When you do you can make your offer in a way that will elicit a strong emotional response from your best potential clients. Now that you know the truth about the best business startup advice what are you going to do about it? I have two suggestions. Request a complimentary strategy session from me here. Go to this Business Startup Guide. On this page you’ll find 16 more business startup tips and 16 additional questions to boost your awareness so that you can increase the probability of seeing the best business idea for you. One thing that we all seem to agree upon is that the timing of when we shall receive what we desire is unpredictable. We behave as though the arrival of our desires is determined by some mystery of the universe. But what if the timing were actually up to us? What if it is you who is creating the storm that’s preventing your ship from coming in? Many in the spiritual community believe that anything is possible and that each individual creates her own reality. We believe that it’s all good and that everything happens for us not to us. Yet we are so impatient because we want more, better or some more delightful version of life and we want it now. So it would appear that while we say we accept responsibility – in the same breath we are turning over that responsibility to the Universe or some power greater than we are. But what if our desires are indeed on the way to us and it is the combination of how we are being, what we are thinking, saying and doing that actually speeds up or slows down the arrival of greater possibilities in our lives? If that were true (and today I’m thinking it is) then what we do and who we are while waiting for that greater gift actually affects the timing of the gift. Wisdom says ask and you shall receive. But what if the law was more accurately stated as follows? Ask and trust that your request is now on its way to you AND you are fully responsible for how soon it arrives. If that were so how would you be, think and act differently to guide your ship in? I’d like to show you how. Be my guest to take the first step here. Waiting for just the right timing is a self-inflicted disease that destroys more dreams than any other self-created limitations. And all limitations are self-created. We say. “I’ll start this business after my girls are in college. I’ll ask for a divorce after we pay off the house. I’ll have time for me after I raise my children. We’ll take that dream vacation after the business stabilizes. I’ll tell him I love him after I’m sure that I do. I’ll spend more time with them after this project, deal or challenge is over. There is no after. There is no after and even when it gets here it never looks like what you thought it would. After is an excuse and a poor one at that. 1) Windows of opportunity are always temporary. Truth is, delay is incredibly costly. Windows of opportunity are moving targets. Opportunities are always in the midst of opening or closing. When we try to keep a window propped open artificially it changes the opportunity. Look at the diagram. You’ll see that there is no delay or waiting in the cycle. 2) The reason we hesitate is never the real reason. It’s always a constructed defense or justification that temporarily relieves the pressure by excusing us for not taking action. I know this is true because I have helped hundreds get over, around or break through their own reason so they could start the business they really want to start. There is no after. There is only now. Celebrate & claim your freedom by choosing to go for what you want without delay. The next time that the Universe blesses you with a really big idea don’t wait for the right time to act. Know that right timing comes along with the idea. Be ready and do something to show you appreciate the opportunity. You could claim this offer to get really clear in a complimentary strategy session with me. At the very least ask yourself this question. What does this opportunity require of me now? Then trust what comes to you and act.